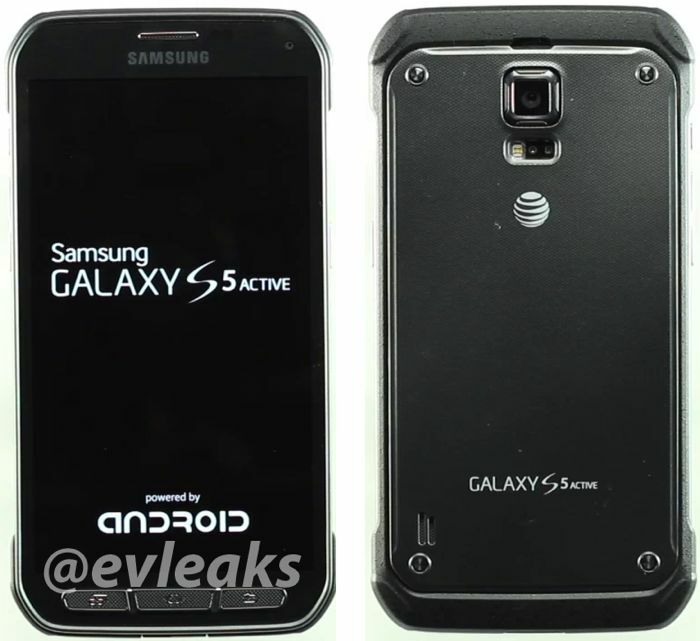 We have already seen some leaked photos of the new Samsung Galaxy S5 Active, and now @evleaks has posted some more photos of the AT&T version of this new Galaxy S5 variant. The photo below gives is a look at the front and back of the new Samsung Galaxy S5 Active, and shows that the handset features a more rugged casing than the original S5. 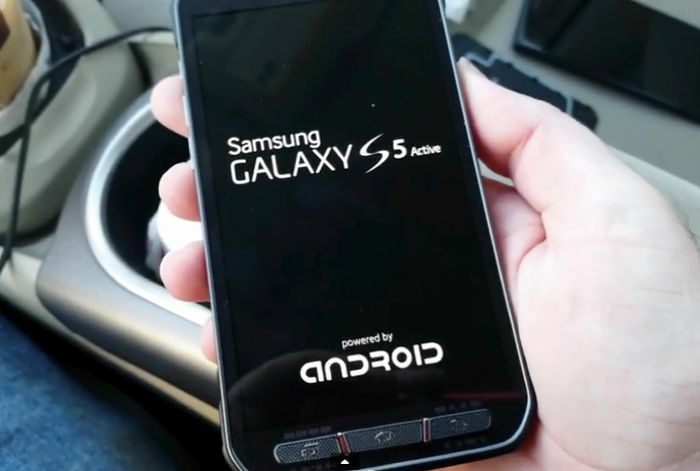 What we heard previously was that that the Galaxy S5 Active will feature a slightly larger display than the S5, the handset comes with a 5.2 inch full HD display with a resolution of 1920 x 1080 pixels. Other specifications on the Galaxy S5 Active include a quad core Snapdragon 801 processor with a clock speed of 2.5GHz, plus 2GB of RAM and an Adreno 330 GPU. The device will come with the same cameras as the S5, which will include a 2 megapixel front facing camera and a 16 megapixel rear camera. The handset will feature Android 4.4 Kit Kat and Samsung’s TouchWiz UI, as yet we do not know whether the device will be able to survive in water longer than the Galaxy S5. We are expecting Samsung to make some sort of official announcement about the Galaxy S5 Active soon, we know that the device will launch with US mobile carrier AT&T, it isnt clear as yet of the handset will be available to all carriers or will be an AT&T exclusive.